Home / Scents / Roger & Gallet Cassis Frénésie Extrait De Cologne. Roger & Gallet Cassis Frénésie Extrait De Cologne. Roger & Gallet Cassis Frénésie Extrait De Cologne is a new fragrance that launched in 2017. 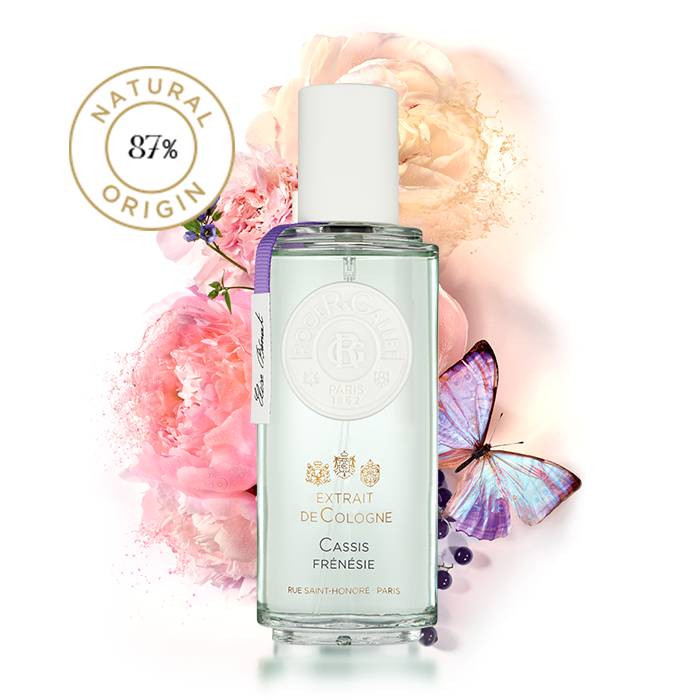 The natural spray combines 87% of natural origin ingredients that french perfumer Elise Benat selected to create an uplifting and mood enhancing scent. Cassis Frénésie Extrait De Cologne is for any woman who creates their own adventures in love and life, whilst also possessing a fun and flirtatious side to their aura. Distilled Precious Essences of: Geranium. Lavandin. Galbanum. Buchu. Top Notes: Cassis, Petitgrain, Bergamot and Pepper. On first spray of the fragrance, the Blackcurrant and Rose notes do stay with Cassis Frénésie without fading, whilst a hint of the Pepper can be detected on opening. The top note Cassis plays a dominant role in bringing a sense of green to the scent, whilst the Petitgrain adds the same with contributing wood. The light spicy-sweet floral from Bergamot brings another dimension to Cassis Frénésie and is quite popular in other scents and perfumes. Middle Notes: Geranium, Cedar, Guaiac Wood, Lavandin. Geranium brings the scent of roses and its green leaves, whilst the note Cedar is soft, woody and evergreen. Guaiac wood sticks to its name by being honey-sweet and earthy. Lavandin (the most fragrant Lavender plant) has a long lasting and sharp scent to it. Base Notes: Pine Tree, Buchu, Rose, Galbanum, Eucalyptus. Pine tree brings a moss and woody element to any fragrance, whilst Buchu is a fragrance reminiscent of blackcurrant buds. The rose is always detectable in Cassis Frénésie along with Galbanum that makes its presence known in any formulation with its loud green aroma with the Eucalyptus potents profile. Roger & Gallet Cassis Frénésie Extrait De Cologne is unique in the way it presents itself by being a freshly balanced floral-fruity without being sickly sweet or to cloying. The green notes add a freshness helping this scent be suitable for any age range and unisex. 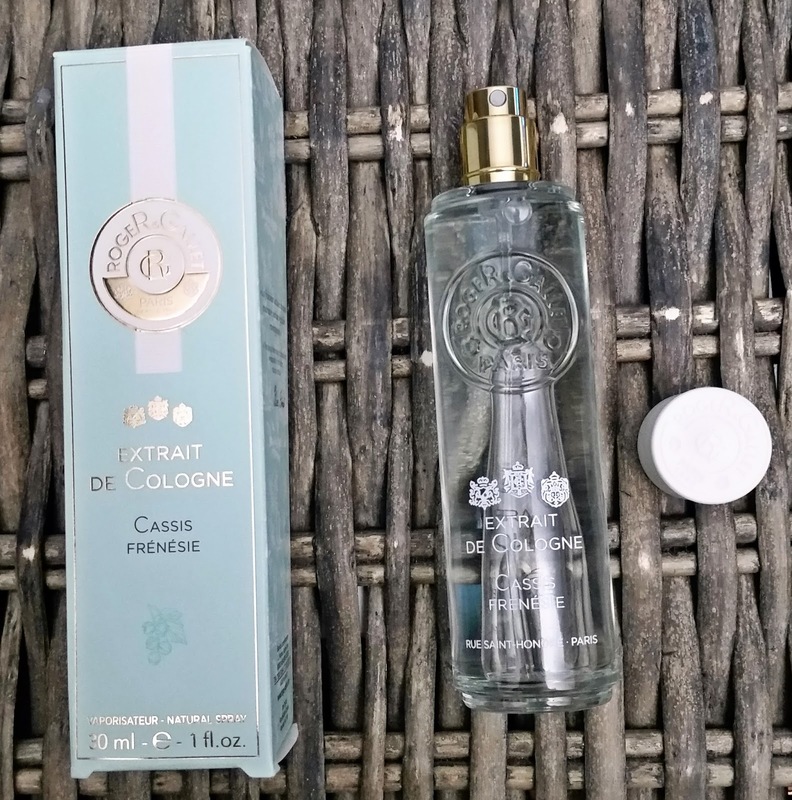 I was impressed of the lasting power as colognes are typically composed of little quantities of perfume oils in alcohol and water so they usually diminish after 3 hours, but not Cassis Frénésie! 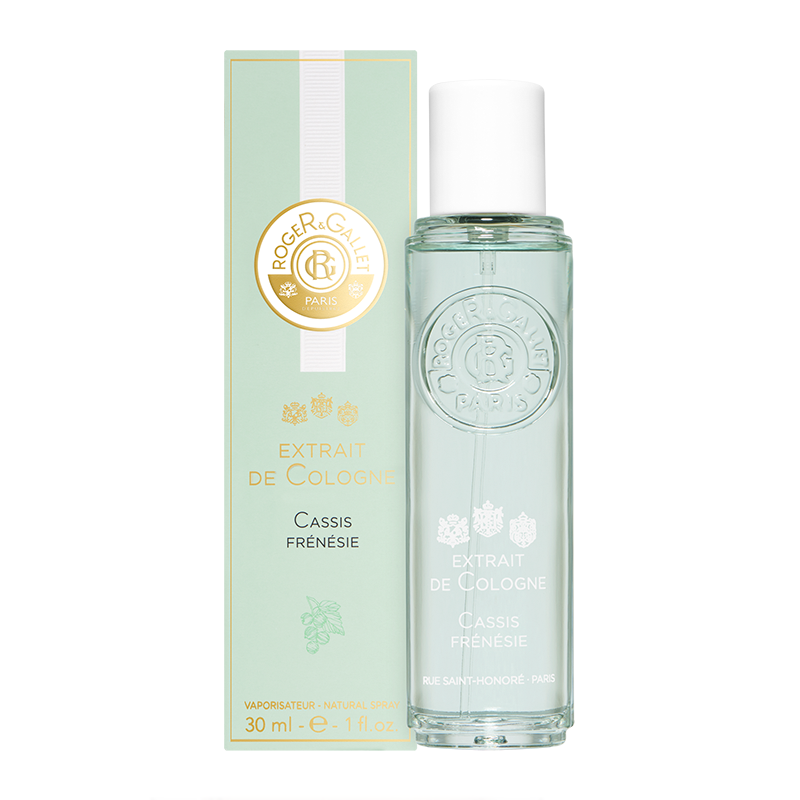 One spray and you will still know its presence is there at the end of the day reminding you each time why u just love this unique and natural scent, find out more by visiting Roger & Gallet and adding Cassis Frénésie to your collection. X Neil.